Investigations are performed by Steven B. Chernoff, Ph.D.
Steve’s graduate degree is in biochemistry, and until recently his education and his “hobby” were totally unrelated. Now, luckily, there is a tremendous link between genealogy and biochemistry with the advent of genetic genealogy. Steve was bitten by the genealogy bug over forty years ago. He was greatly influenced by his maternal grandmother’s interest in genealogy and her old photographs of family. 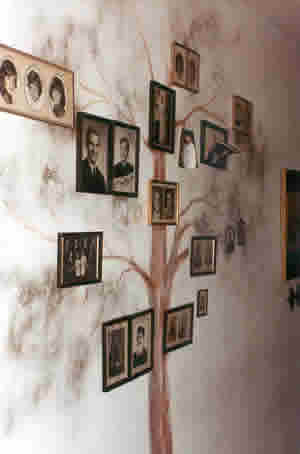 She was an artist and hand-painted a large tree on the wall of her apartment and hung pictures of family members on appropriate branches. 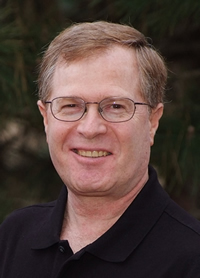 Steve is the founding President of the former Jewish Genealogical Society of Kansas City. In his own research, he has identified hundreds of "new" cousins and has visited many of them around the world. While Steve's main interest is Jewish Genealogy, he is not limited to that area of research and also enjoys tracing American records back 200 years before the great wave of Jewish immigration to the US.